1.Line a medium glass dish with split ladyfingers or sliced sponge cake. 2.In a small bowl, toss the strawberries with the sugar. 3.In a separate bowl, add the vanilla to the whipped topping. 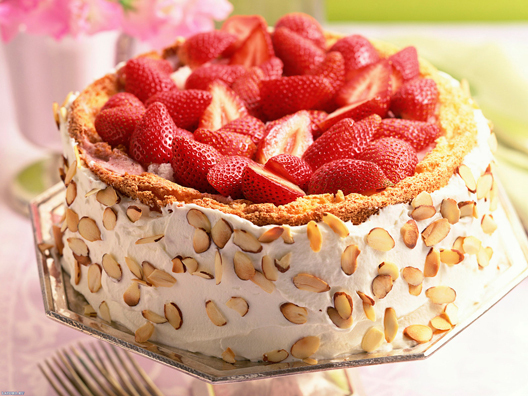 4.Sprinkle some berries over the cake, then add a layer of whipped topping. 6.Repeat in layers until all ingredients are used, ending with a layer of whipped topping and nuts. It’s strawberry season and our local berries are abundant, fragrant and deliciously sweet.